Sir (cr. 1914) Samuel Turner (1840-1924). Sitter: Sir (cr. 1914) Samuel Turner (1840-1924). Biog: Senior Partner in the cotton mills of S. Turner & Co. Ltd, the asbestos works of Turner Bros. Ltd, and Chairman of Turner's and Newall Ltd; Mayor of Rochdale 1901-1903. Occasion: The King's Investiture (New Year Honours), Buckingham Palace, 12 February 1914; conferral of knighthood. Orders, Decorations & Medals: Coronation Medal 1902 (Mayor's issue). Biog: Burke's Peerage; Who's Who; The Times 12 August 1924, p 15c. Occasion: The Times, 13 February 1914, p 9a. Costume: Herbert A.P. 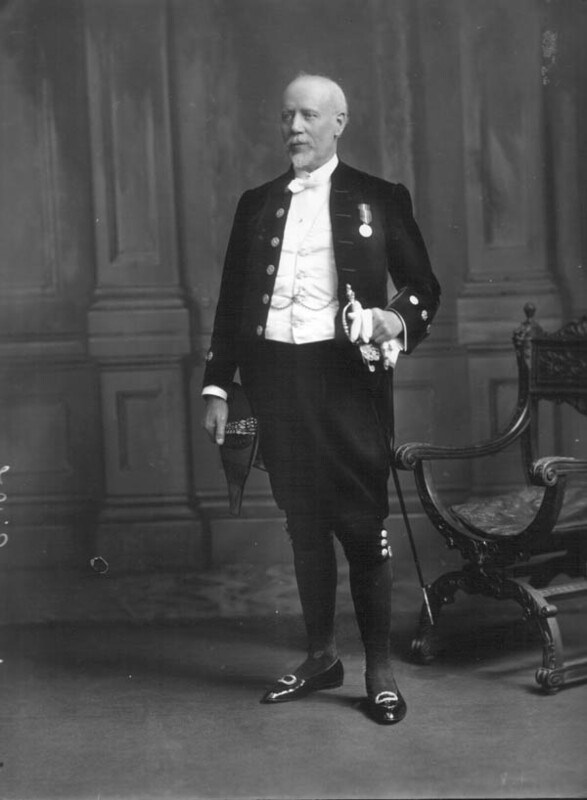 Trendell, ed, Dress Worn at His Majesty's Court, London, 1912.